We heard the Ayushmann Khurrana movie Andhadhun reaching China and doing great business at the box office. The Sriram Raghavan has entered into the two hundred crores at the Chinese Box Office. Yes, you heard it right, the makers have announced recently that the thriller has crossed the 200 Crore mark in less than two weeks. Releasing on 3rd April, the film titled as Piano Player in China crossed the 200 Crore mark on the 13th day. As per the makers, the film with such a good collection has now become the fifth most promising and high scoring film. 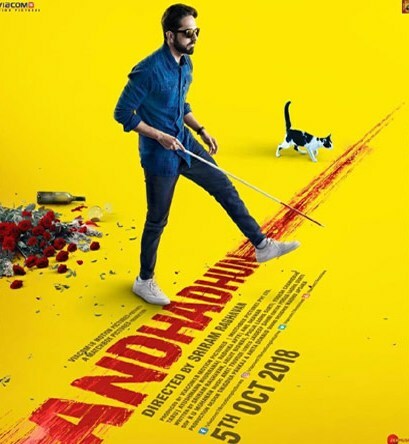 The other films that have done well at the box office in Chinese market include Dangal, Secret Superstar, Bajrangi Bhaijaan and Hindi Medium and now we have the name of Andhadhun called as Piano Player in this country has become the part of it. The makers are celebrating this victory. The entire cast and crew are happy with the performance of the film in China claimed the director. The director went on saying that this was beyond expectation as they never felt that their film would do such a big business in the Chinese market. The film produced under the banner of Matchbox Pictures seemed to have run for more than 75 days in India and has been even screened at the reputed film festivals like Indian Film Festival of Los Angeles where it has got the standing ovation. Stay tuned to know more updates on this film and others only with us and yes do comment on the incredible feat we see for the thriller film Piano Player in China.